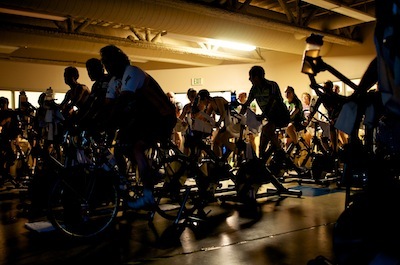 I attended the Major Taylor Project Spin-a-thon yesterday afternoon at the West Seattle All Star Fitness. 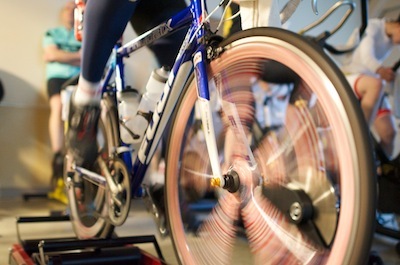 Cyclists spun to raise funds to get inner cities kids on bikes. They all had a good time too. 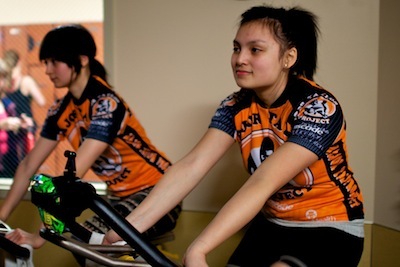 MTP is a year-round, youth development cycling program produced by the Cascade Bicycle Club Education Foundation, integrating bicycling, healthy living, bicycle maintenance, road safety awareness, and the importance of working toward individual goals. Seattle has a very diverse zip code and once MTP participants, get their bikes, they set goals like riding from Seattle to Portland. At the end of the 3-hour spin cycle, they raised $14K and expect to hit well over 15K with matching donations. More photos on our +Bike Hugger G+ page and in our Flickr photo stream.